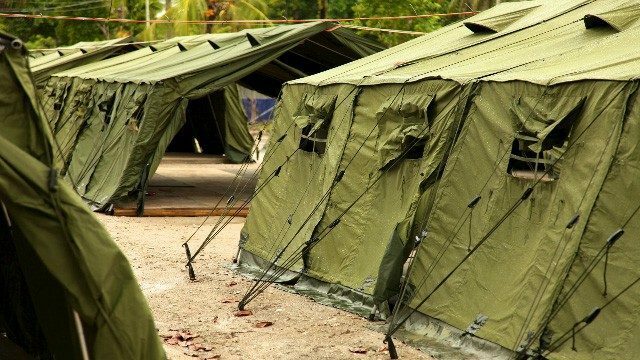 Human Rights Watch has released a damning report on the dangers faced by those transferred to Papua New Guinea (PNG) under Australia’s policy of offshore processing. About 770 men remain in PNG. Many have suffered assaults and robberies outside Australian processing facilities. Reports of abuse and inadequate care in the detention and transit centres persist. In April 2016, the PNG Supreme Court ruled that the detention of people on Manus Island violated PNG’s Constitution. The Prime Minister of PNG, Peter O’Neill, asked Australia to close the detention centre and find other arrangements for the men inside. The Australian government planned to close the main detention centre on 31 October 2017. When the centre closes, those remaining are likely to be transferred to transit centres or resettled elsewhere in PNG. In its report, Human Rights Watch has expressed grave concerns that these proposals will place these men in even greater danger. These men have been attacked many times by groups of locals armed with rocks, knives or screwdrivers. In at least three serious incidents since June, victims have required emergency medical treatment in Port Moresby or Australia. Many of these people have been robbed at knifepoint. Local police were reported as making little effort to prevent or investigate these attacks. Police were also said to have beaten and wrongfully arrested refugees. As a result, many of those in the Manus centre are too afraid to leave. Interviewees also cited the 2014 protests, during which one person died and another 51 were injured, as an example of the violence and discrimination they suffered. As Human Rights Watch argued, Australia shares responsibility for the treatment of these men, but has persistently failed to address abuses committed under its authority. Two people who had been knifed reported that the local hospital in Lorengau would not provide them with proper medical treatment. Both men were told to seek medical care at the centre’s medical clinic. Both were later sent to Port Moresby for surgery, although one refused to be treated because he did not think the surgeon was capable. Another person beaten by locals with sticks and rocks had waited to be driven to the local hospital for five hours. Once there, he received only basic medical treatment and pain relief. Another person had his skull fracturing during a robbery and beating. He was in the medical clinic in the centre for two days before he was transferred to Port Moresby. Once there, he waited several days to be flown to Australia for emergency treatment. The report highlights the dire state of mental health services in PNG. This situation will become much worse as Australian service providers withdraw from Manus Island. Many described mental distress, including self-harm and wanting to end their lives. There were two reported suicides in August and September. Both men lived in the transit centre and had mental health conditions. Interviewees described the mental health institution in Port Moresby as dirty and overcrowded. One refugee reported that he was severely beaten by staff on his first night there. After this, he was left for a week in a locked cell with 20 other Papuan patients. Many of these people have developed post-traumatic stress disorder, depression, anxiety, inability to sleep and short-term memory loss. These reports are consistent with UNHCR’s findings that 88% of refugees and people seeking asylum surveyed had developed a depressive or anxiety disorder and/or post-traumatic stress disorder. UNHCR also concluded that the mental health crisis on PNG could not be addressed appropriately by the local service providers. Most of the men remaining on PNG have been found to be refugees. About 200 have had their claims for asylum rejected. However, PNG’s refugee status determination process falls far short of international standards. There is no protection against refoulement under PNG law and its definition of a “refugee” is not in line with the Refugee Convention. Of the 35 refugees who have resettled in PNG, only four can support themselves. The others rely on subsidies to make ends meet. They cannot find work without adequate support, networks or language skills. Both UNHCR and Human Rights Watch conclude that the integration measures have not worked. It will therefore be impossible for most of these people to meet the conditions that will allow them to reunite with their famliies in PNG. admit and integrate those found to be refugees, fairly process those with pending asylum claims, and reassess the claims of failed people seeking asylum before forcibly returning them to their home countries.